Jungheinrich offer customized solutions that simplify your material handling needs – Counterbalanced Forklifts, Narrow Aisle Lift Trucks, Electric Tuggers, Walkie Jacks & Stackers. Our EXTENSIVE line of forklifts is well-suited to diverse product applications, from stacking and order picking to warehousing and food processing. 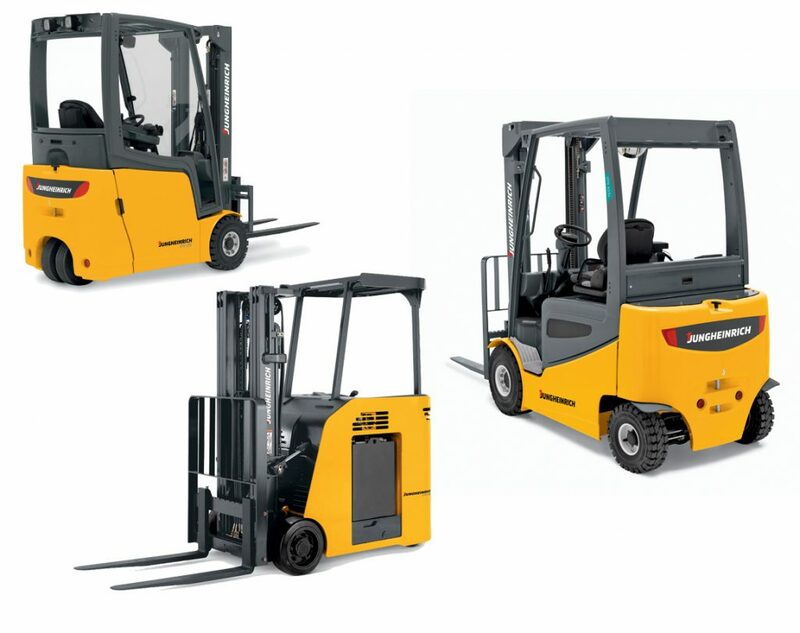 Jungheinrich offers a variety of class I electric lift trucks. 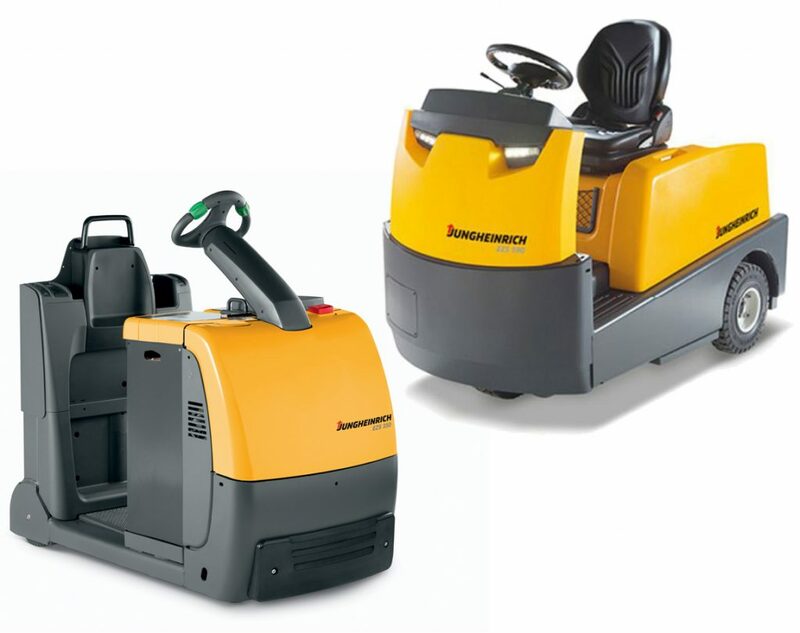 With incredible efficiency and 16 hours of run time on a single charge, it’s hard to dispute Jungheinrich is the best choice for your electric forklift needs. Jungheinrichs class II selection is quite complete! Boasting 2 shifts on 1 charge for most of these units, you will experience more up-time which means higher productivity. 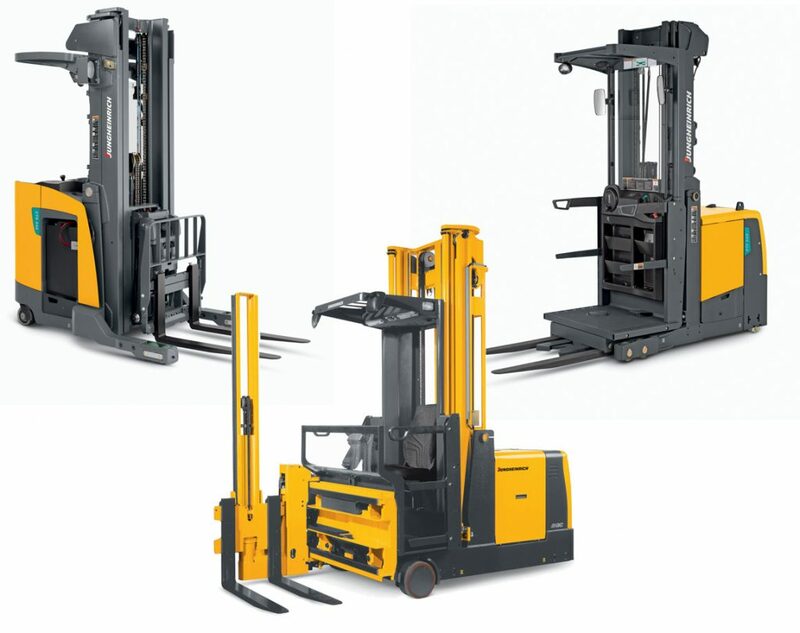 Click here to see our narrow aisle lift trucks. With the EJE-120 being the best in its class, it’s hard to beat these electric pallet jacks and stackers. Click to see our selection of class III electric units. Do you have a special application that requires custom equipment? Look no further! Sometimes you need to pull things – look no further! 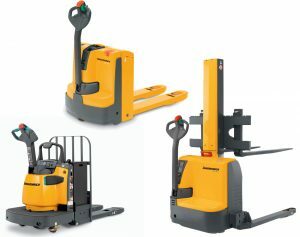 Jungheinrich offers durable and energy efficient tuggers for your warehouse and manufacturing needs.